Rising costs of prescription drugs have strained hospital budgets and operations, forcing health systems to cut costs by reducing staff, a new study found. Hospital drug spending increased by 18.5 percent between 2015 and 2017, a rate far exceeding medical inflation for the period, according to a report prepared for three health associations by the research group NORC at the University of Chicago. U.S. community hospitals spent an average of $555.40 on prescription drugs for each admitted patient in 2017. “We are in the midst of a prescription drug spending crisis that threatens patient access to care and hospitals’ and health systems’ ability to provide the highest quality of care,” said Rick Pollack, chief executive officer of the American Hospital Association, which commissioned the report along with the Federation of American Hospitals and the American Society of Health-System Pharmacists. Drugs associated with outpatient care, which includes emergency room visits and other short-term services, were the most costly. Outpatient drug spending increased 28.7 percent per admission, while inpatient spending grew by 9.6 percent. Price hikes that affected hospitals were seen across various classes of drugs, including anesthetics, non-oral solutions and chemotherapy. The main drivers of the increases were high list prices set by drug makers, coupled with ongoing shortages for critical treatments, according to NORC’s data analysis of more than 4,200 U.S. hospitals. The report comes as pharmaceutical companies are under increasing pressure from the Trump administration, Congress and insurance companies over rising drug costs. Drug makers boosted list prices on hundreds of treatments this month alone. Last week, President Donald Trump summoned his top health officials to the White House to discuss the increases, while lashing out at drug makers on Twitter. Drug shortages are also contributing to rising costs. As common drugs such as saline solutions and generic injectables are increasingly difficult to obtain, many have shot up in price, straining hospitals that rely on the treatments for daily patient care, according to the study. However, those drugs often don’t see prices fall to the original level after a new supply floods the market. 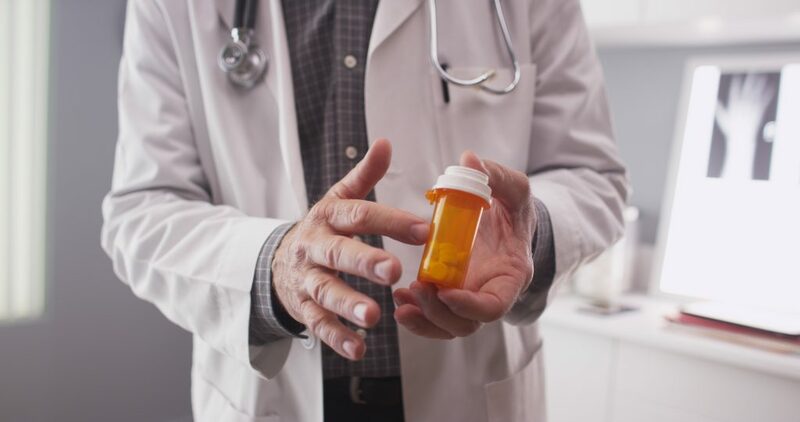 The number of drugs in short supply in the U.S. has skyrocketed since 2017, when there were 146 shortages, according to the American Society of Health-System Pharmacists. Already, the ASHP has identified 250 active shortages in 2018 – and Fox and her colleagues are still counting. The impact of drug price hikes and shortages has reverberated throughout health systems. More than 9 in 10 hospitals identified alternative therapies to mitigate budget pressures associated with changing drug prices, while 1 in 4 hospitals went as far as cutting staff to curb costs, according to the report. Hospitals are also delaying internal investments and conducting more in-house compounding. Health systems have urged Congress and the U.S. Food and Drug Administration to act. In a Jan. 11 letter to FDA Commissioner Scott Gottlieb, who oversees a drug shortage task force, the AHA recommended that manufacturers face more severe drug-shortage disclosure requirements and be fined should they fail to comply. “Solutions must be worked on to rein in out-of-control drug prices and ease the drug shortages that are putting a strain on patient care,” Pollack said.